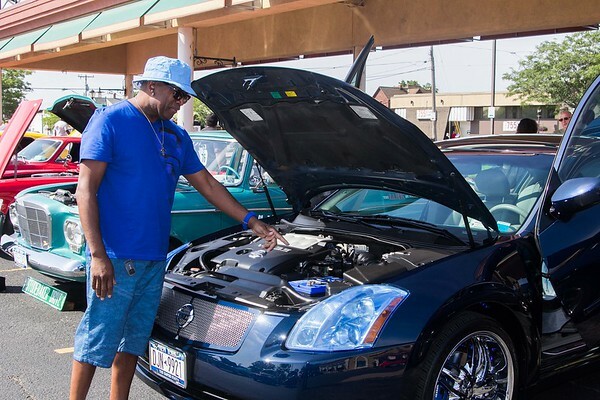 Vernon Harris shows of his 2005 Nissan Maxima wil gull wing doors at the O.G. (Original Gentlement) Car Show at the City Market Sunday morning. The car also features ground effects lighting.